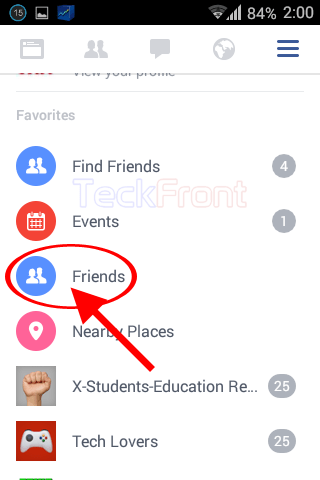 How to Check Friends Requests on Facebook on Android 4.4.x KitKat Device? The glorious spirit of Facebook (FB) lies with the interaction between friends. More friends, more fabulous your personality appears to be. During the course of interaction, people like other people and express their desire to have friendship with other people. 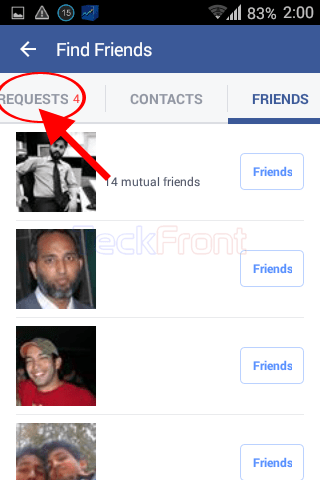 People in FB express their desire to enter into the friendship circle by sending the people the requests to form friendship. And if the offer to be friend is accepted, the friendship is confirmed. It is easy to see the friendship requests in FB but you cannot understand, see the instructions. 1: Tap the icon of the FB on the Home screen of your Android 4.4.x KitKat device to open up the FB app screen. 2: At the FB screen, tap the profile button, placed at the top right corner of FB screen, immediately below the status bar. 3: At the ‘View your profile’ screen, tap the ‘Friends’ in the ‘Favorite’ section. It will open up the ‘Find friends’ screen. 4: At the ‘Find Friends’ screen, tap the REQUESTS tab or swipe the screen to the right. 5: Under the REQUESTS tab, see the FRIEND REQUESTS. At my screen, there are, currently, 4 requests for friendships. 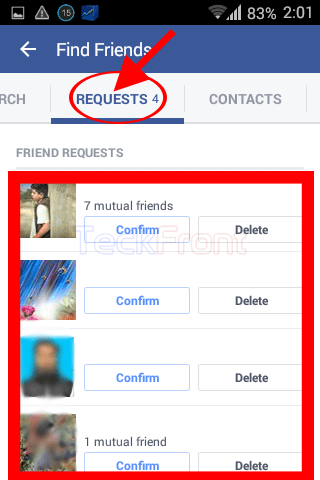 Here, you may decide to confirm or delete one or more than one friend requests, depending upon your choice or understanding with the request sender. That’s all! 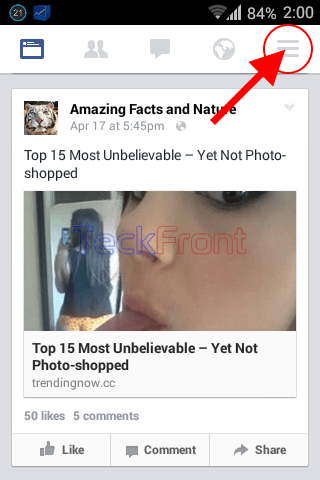 Newer How to See & Set Notification on Facebook Android 4.4.x KitKat Device? 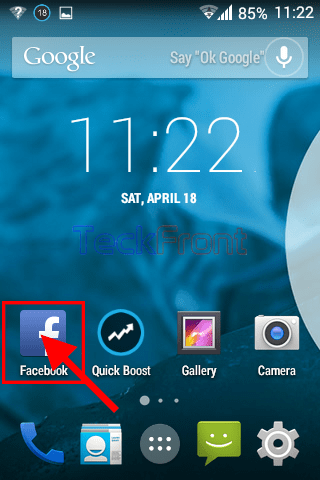 Older How to Turn On Location on Facebook on Android 4.4.x KitKat Device?